The second addition of this fun run will take place on New Year's Eve on the main beach, where you can run your last run of 2018. The event was inspired by the famous "San Silvestre" runs in Spain and when our favourite Spaniard comes to Abersoch for the festivities and misses his NYE eve race and ends up running it on his own, it was decided to bring a little bit of Spain to Abersoch. So, why not come and join him again for the last race of the year and help bring the San Silvestre race spirit to Abersoch. This will be a fun event and participants are requested to meet at the yacht club end of Abersoch main beach at 12pm for a 6k run. The after race "debrief" will take place at SCYC with raffle, prize giving and drinks. 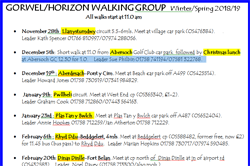 As part of its continuing walks project SAC supports the local Gorwel/Horizon walking group which meets for easy walks at 11 am on alternate Wednesdays. 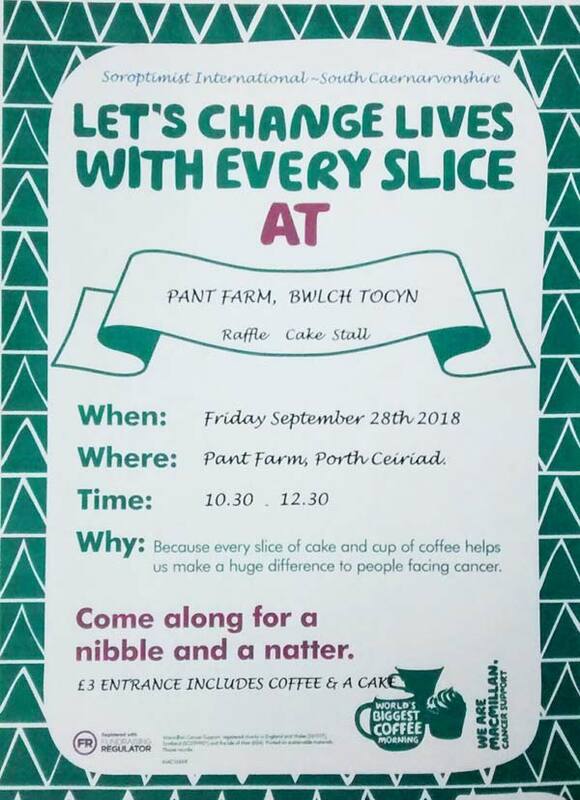 Croeso i bawb - All welcome! Click on the image below for the walk times and details. Some things are clearly Black and White! This year the fancy dress theme for the RNLI New Year’s Day Dip is ‘Black and White’, so you can look forward to seeing penguins, dalmatians and zebras, amongst others, dashing across the Abersoch main beach at 12 noon on New Year’s Day. After the Dip hot showers will be available in SCYC, where The Cove will also be open to everybody, serving a hog roast, BBQ, soup, cocktails and mulled wine. Mynytho school Easter Treasure Hunt on the 12th April 2019 from 15.30 onwards. All proceeds go towards the school, the PTA are currently fundraising towards playground improvements / equipment. 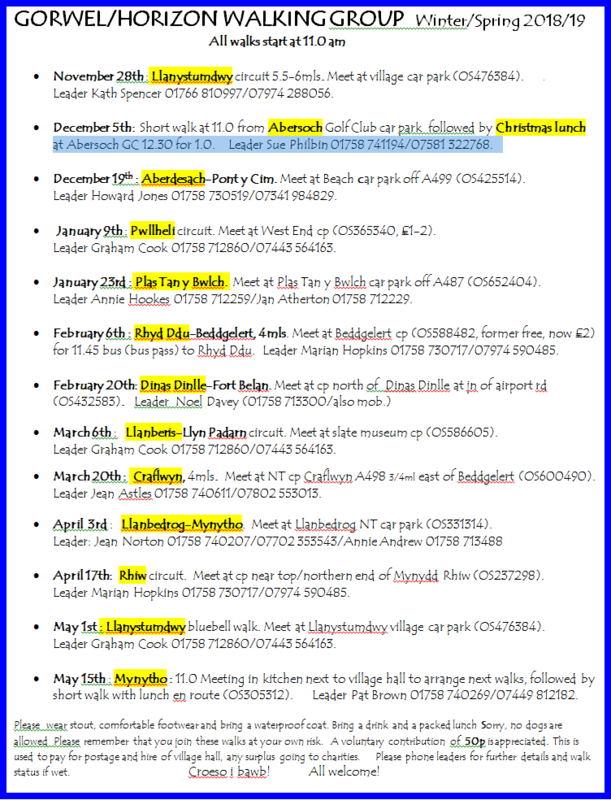 3 brand new races are coming to Pwllheli and Abersoch next summer, in the form of the Pen Llyn Trail & Coastal Series. 10K, half marathon and full marathon distances are being organised by the Pen Llyn Ultra team and are set to take place on Sunday 26th May, 2019. We will have much more info on these races shortly, however, they will be mostly held on the local trails and paths, rather than on the roads - with trail running becoming an increasingly popular alternative (or complement) to simply running on tarmac. 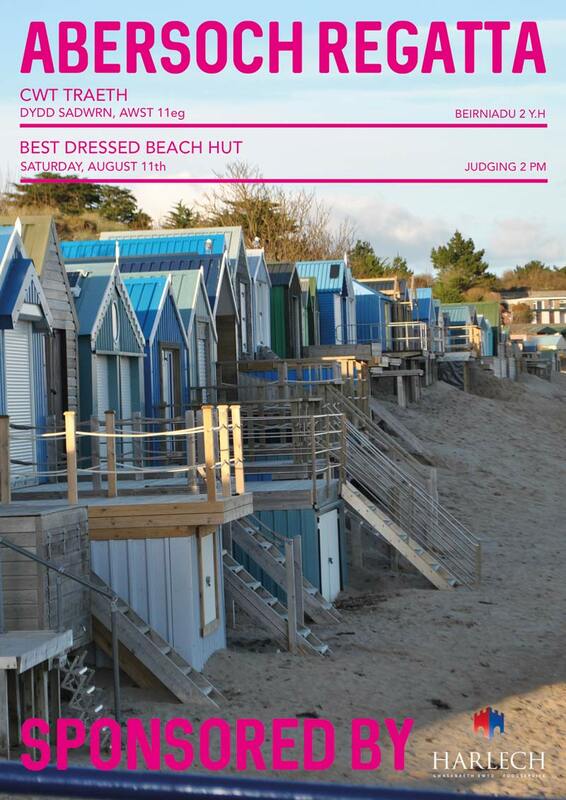 The Henri Lloyd 10K and the Abersoch Holiday Homes 3K are popular and established annual events. A major annual event in Abersoch taking in the beauty of the area. Starts and finishes on Abersoch man beach. SCYC is proud to have organised and hosted SCYC Abersoch Dinghy Week for 47 years. “Brilliant” and “a classic week” are just two of the accolades from 2018. And we want to make 2019 even better. The spectacular waters of Cardigan Bay and Abersoch’s golden sandy beaches allow us to offer an enviable week of racing for dinghy sailors, with families welcomed, and a host of other activities available in the area for non sailors. The week schedules six races over six days in morning or afternoon sessions, leaving you free to enjoy time with family and friends when you are not racing. Dinghies are organised into mixed handicapped fleets or single class fleets. A popular family sailing event with the Mirror fleet. 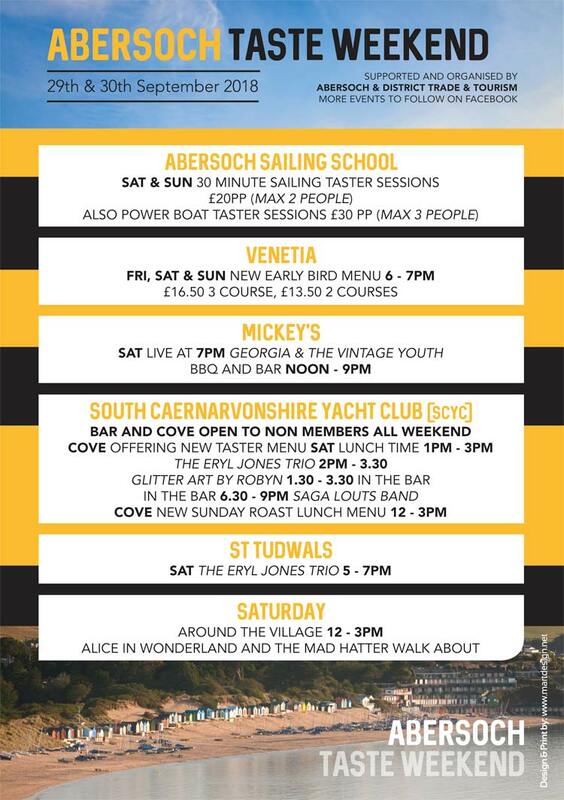 The Abersoch Regatta is an annual series of events run by "the Abersoch village community" each August for local people and of course for all the visitors to the area and is one of the only community run regatta type events in the UK. 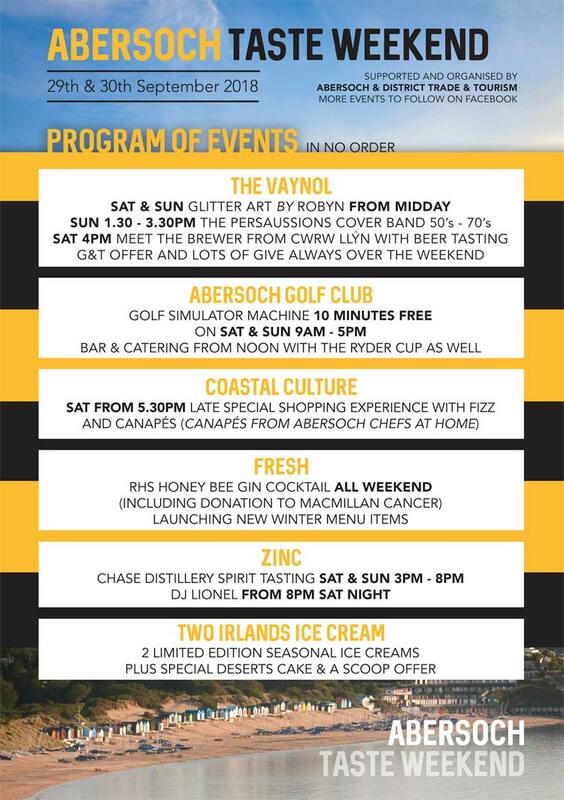 The events are designed to be fun for families and people of all ages and include the famous raft race, a golf competition, sand castle building, crab catching, surf and paddleboarding comps and the famous sailing regatta day at SCYC, where the first Abersoch regatta was held back in 1881! Each year, the various events in the village raise money for local good causes. Don't Forget the last event of 2017 is a new one... Sunday 31st December 2017 ... 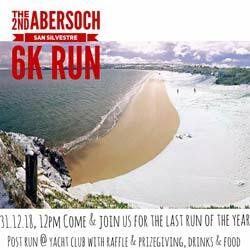 The 1st Abersoch "San Silvestre" 6K Run ... A new event for Abersoch has been announced, which will take place on New Year's Eve on the main beach, where you can run your last run of 2017. The event is inspired by the famous "San Silvestre" runs in Spain and when our favourite Spaniard comes to Abersoch for the festivities and misses his NYE eve race and ends up running it on his own, it was decided to bring a little bit of Spain to Abersoch. 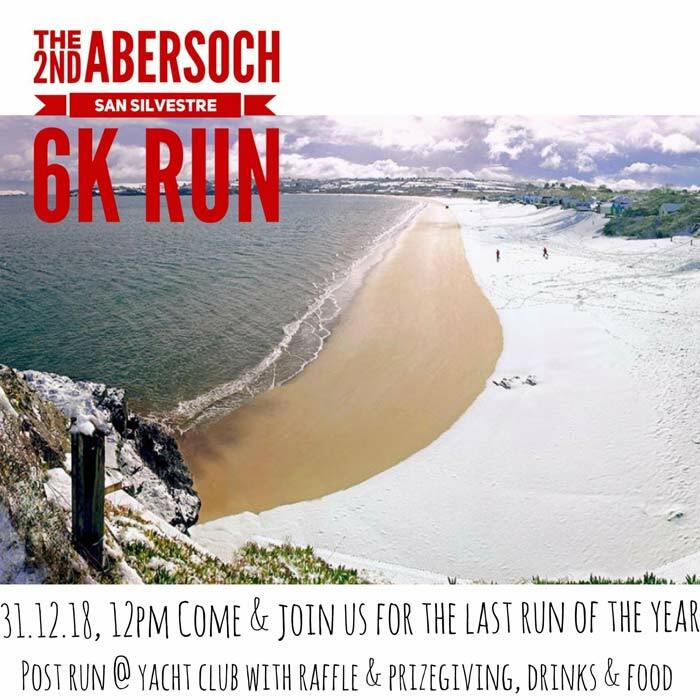 So, why not come and join him for the last race of the year and help bring the San Silvestre race spirit to Abersoch. The glamour and excitement of Monte Carlo will come to Abersoch on Saturday 24th February, when the landlords of the St Tudwal’s Inn have kindly offered to run a casino night as a fundraising event for the RNLI. There will be poker, roulette and blackjack tables, with professional croupiers. Tickets are £25 each and include gambling chips and a buffet supper. This should be a fun evening, with smart dress to add to the atmosphere of the event. Tickets are on sale at The St Tudwal’s Inn, Abersoch Boatyard and Abersoch Golf Club. 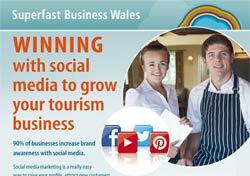 A workshop for local businesses looking to improve their skills on social media, will take place at Abersoch Village Hall on the afternoon of the 27th February. For further info and registration details - click here. 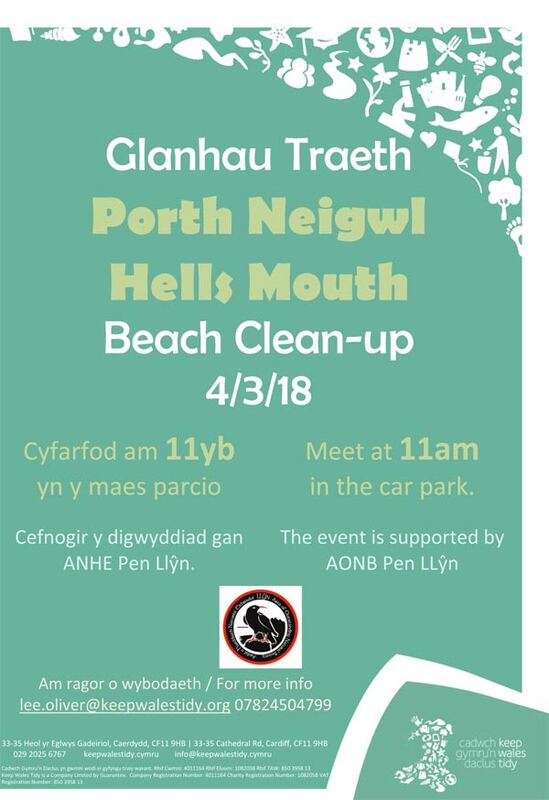 As part of the Spring Clean Cymru 2018 - a nationwide campaign encouraging people across Wales to get together to help clean up our beautiful Cymru - there will be a major clear up of the (mostly) plastic waste on Porth Neigwl on the 4th March. 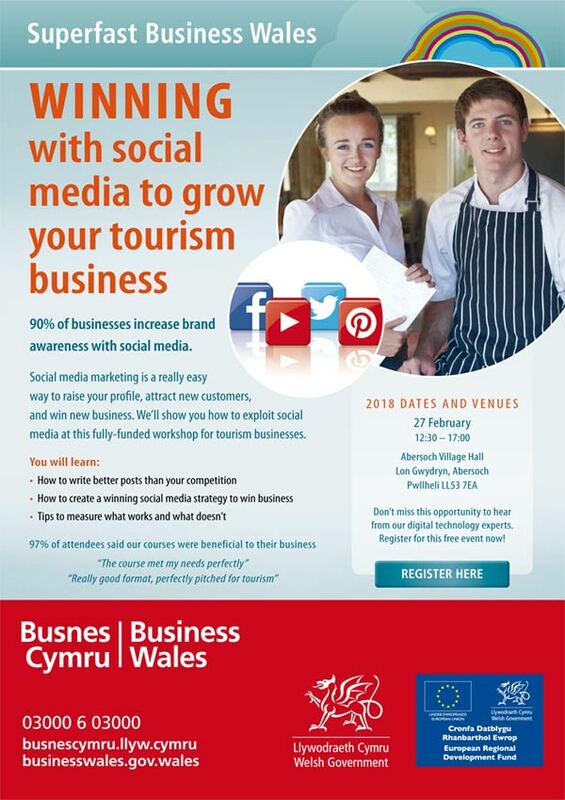 Click on the poster opposite for details and follow @CGD_Gwynedd_KWT on Facebook. All welcome to come and lend a hand. Details of the many events can be found on their Facebook page - click here. Abersoch RNLI will be holding their annual Open Day on Bank Holiday Monday 28th May. Everyone will be welcome to visit the station, opposite Land and Sea, between 10:30 and 3:00. There will be the opportunity to inspect the boat and meet some of the crew. Refreshments will be available and there will be a barbecue around lunchtime. There will also be a cake stall, tombola, raffle and games to keep all the family entertained. St. David's Hospice is holding a brand new three day sponsored walking challenge on Thursday 5th, Friday 6th and Saturday 7th July 2018. This event is not for the feint hearted as each walking day is expected to be approximately 8 hours on tough terrain. For this reason, training is advised. The route follows the picturesque Welsh Coastal Path with panoramic views of the Llyn Peninsula and beyond. All funds raised will support local St David’s Hospice projects. Participants are expected to be able to walk a mile within 30 minutes for this challenge. Car parking will be located at the start of each daily route and bus transport will be provided back to the start of each daily route upon completion. Rregister to enter the Glasfryn Welsh Open Wakeboard Competition in July 7th & 8th. A £3k of prize pot up for grabs! 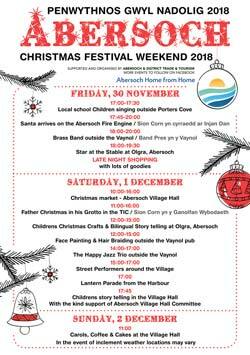 The timetable for the village run, 2018 Abersoch Regatta events has been released and is available by clicking on the links below. 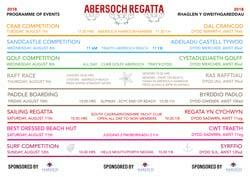 The Abersoch Regatta is an annual series of events run by "the Abersoch village community" each August for local people and of course for all the visitors to the area and is one of the only community run regatta type events in the UK. 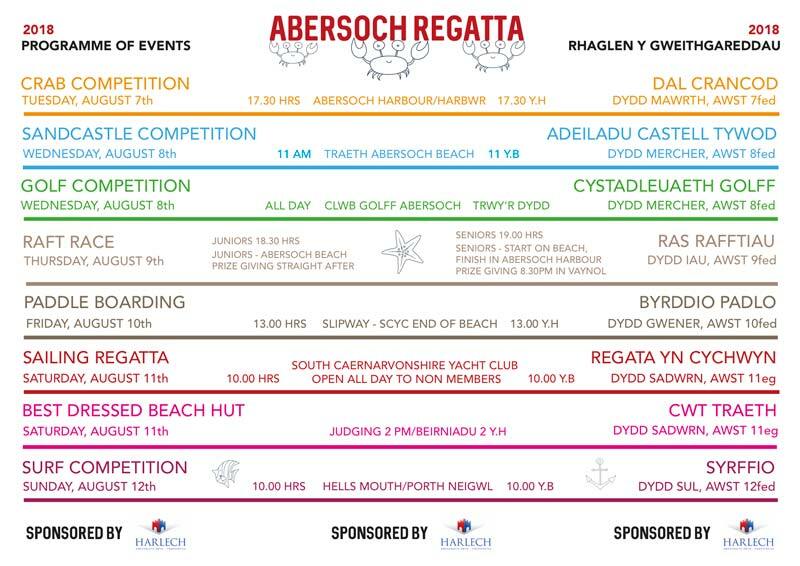 The events are designed to be fun for families and people of all ages and include the famous raft race, a golf competition, sand castle building, crab catching, surf and paddleboarding comps and the famous sailing regatta day at SCYC, where the first Abersoch regatta was held back in 1881! Each year, the various events in the village raise money for local good causes. Dwyfor Camera Club’s popular Summer Exhibition opens on Monday 3rd September for two weeks. It is located in the Entrance to Pwllheli Library and is free of charge. The annual exhibition is popular with visitors and local people alike, providing a showcase for photos taken by members over the past year. There will be the usual mix of prize-winning images and photos from the local area, so come along and enjoy some special views of local people, places and beyond. 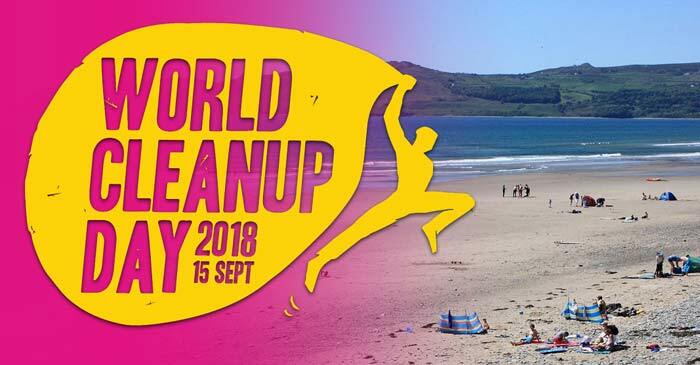 Come and be part of the Planet's biggest clean up event. 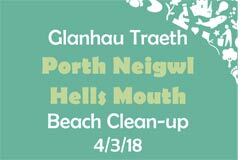 Come and help make a difference to our planet and help clear up litter from Hell's Mouth beach near to Abersoch. Every piece of litter could save an animal's life and also ourselves. Child friendly and bring your dogs too. Bags and gloves will be provided. Come for an hour or stay for the whole event. This is our time to come together to make a difference. Meet at the car park at 10am. Event ends at 1pm. Please contact Simon@SimonJordan.com for further info, marking your email World Clean Up Event. Abersoch RNLI is once again holding a Sponsored Bike Ride for keen cyclists and family groups. 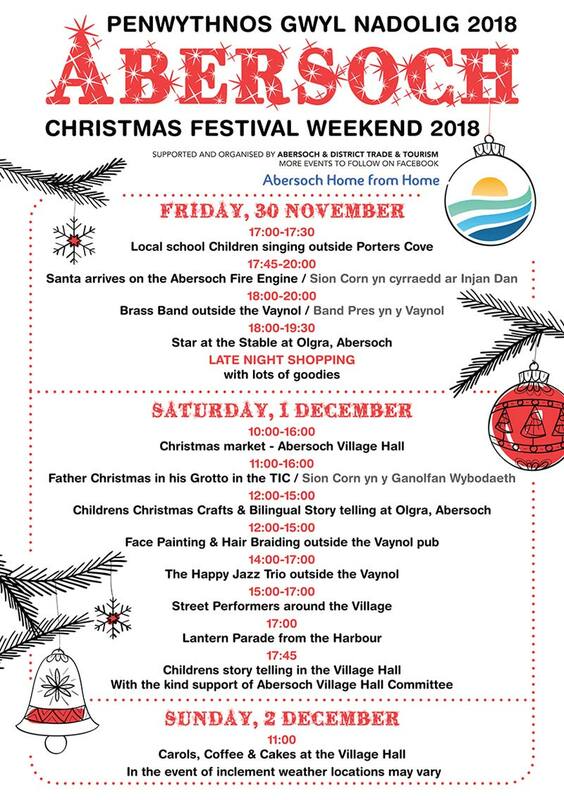 As in previous years, this is a non-competitive cycling event starting and finishing in the centre of Abersoch at The Vaynol. All money raised from the event will go towards Abersoch RNLI fundraising. The ride will be on Sunday 7th October and riders will be able to start at any time, of their choosing, between 9:00 and 11:00am. There are four routes: a 40 mile route, with 3,067 feet of climbing, for experienced cyclists; a shorter 30 mile route, with 2,342 feet of climbing, for those seeking less of a challenge; and two shorter routes of 15 or 9½ miles, for families and those looking for an easier ride. 14-15 year olds may ride unaccompanied on the 15 and 9½ mile routes with parental permission. Under 14 years must be accompanied by an adult on the 15 and 9½ mile routes. There is be an individual entry fee of £10 with a requirement to raise at least £15 in sponsorship, or for families an entry fee of £15 with a requirement to raise a minimum of £25 in sponsorship. We hope that all entrants will raise as much money as possible to support the wonderful volunteers who man our lifeboat in all weathers. All those who finish the course will receive a commemorative medal and slate coaster. Registration and entry will open at the Vaynol at 8:45am, but riders will not be released to start until 9:00am. A weekend of festive fun for all the family. Click below to enlarge the poster.